Imagine you are standing at the edge of the ocean. The air around you is warm and comforting as the sun beats down on you. You really want to go for a swim, but you know the water will be cold compared to what you're feeling right now. You stick your toes in the water and quickly yank them back out. Freezing! You keep trying again as you get used to the cold and then ever so slowly make your way into the water one inch at a time. Eventually you get to the point where you realize, you just have to dunk your head under water or you'll never warm up. The idea of plunging the rest of your body into that icy cold water sounds awful, but you know it's the answer. So you do it. And what do you know? Now you're warm again and the water is quite nice. That's what starting a blog was like for me. It took a while before I even decided to get my feet wet, and even once my toes were in the water, I VERY slowly eased my way into it, writing sporadically. Once I finally got into it, I started to realize my fears more and more and eventually just had to dive head first! 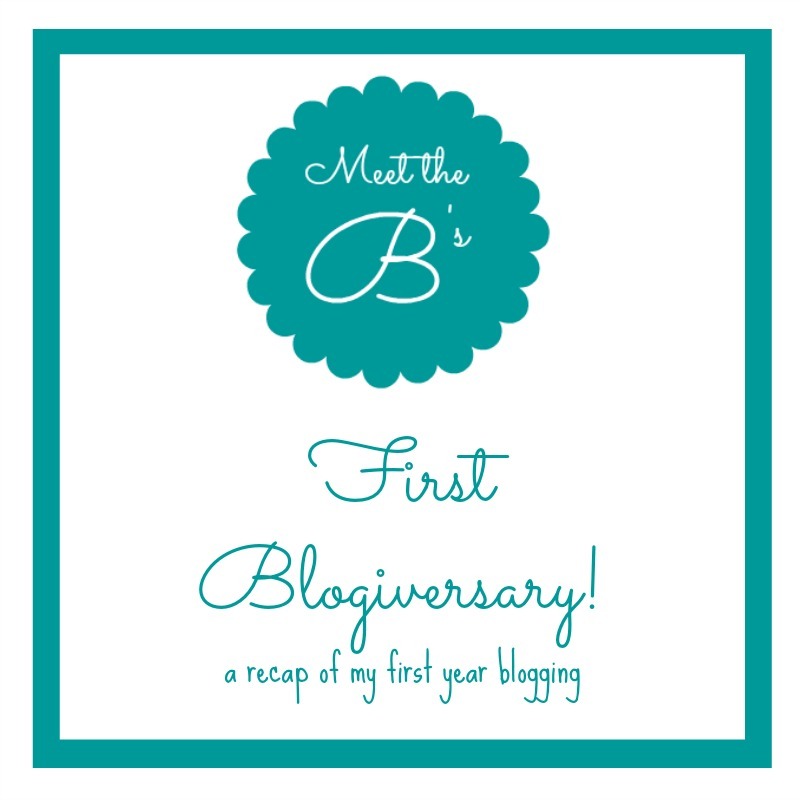 Now, I've been blogging for a year and can't believe how much this little blog of mine has evolved! So to those of you reading for the first time, hello! Welcome! If you know me well, you know I have a major passion for crafting and decorating. So when Pete and I bought our humble abode last year, I decided I might as well document the progress of our home and share it with others in hopes of inspiring someone the way so many bloggers have inspired me over the years! It's a work in progress and I still have so much to learn, but my blog and I have come so far this year (you should have seen it's ugliness in the early months!). You can read more about my life, why I blog, and why it took me so long to share, but if you know me well in real life, you know I'm a pretty reserved person, and it probably makes perfect sense that I was afraid to share my blog! The only people in real life who knew about it were people who accidentally found out and a couple of long lost friends I stumbled across in blog land! I'm super excited that it's out in the open now and hope that sharing it turns into a good thing! 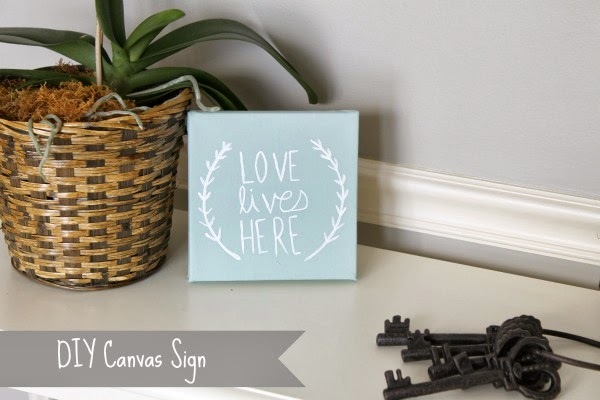 My personal favorite and my most pinned project is my DIY "Love Lives Here" Painted Canvas. 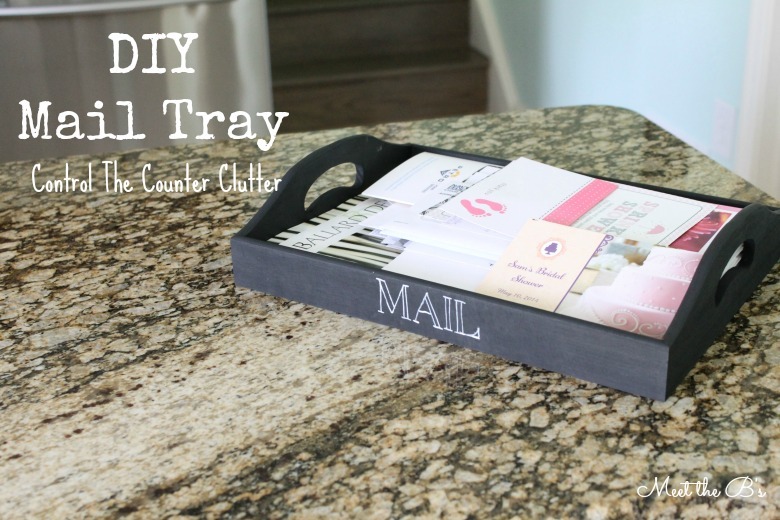 My most viewed post was the DIY Mail Tray which has definitely made a huge difference in the amount of clutter in our kitchen! 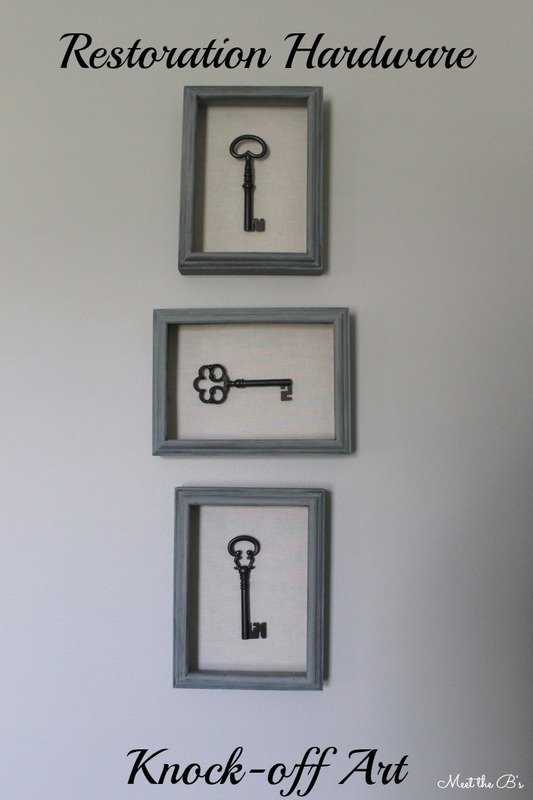 I really love the Restoration Hardware Knock-off Art I made recently for the living room. 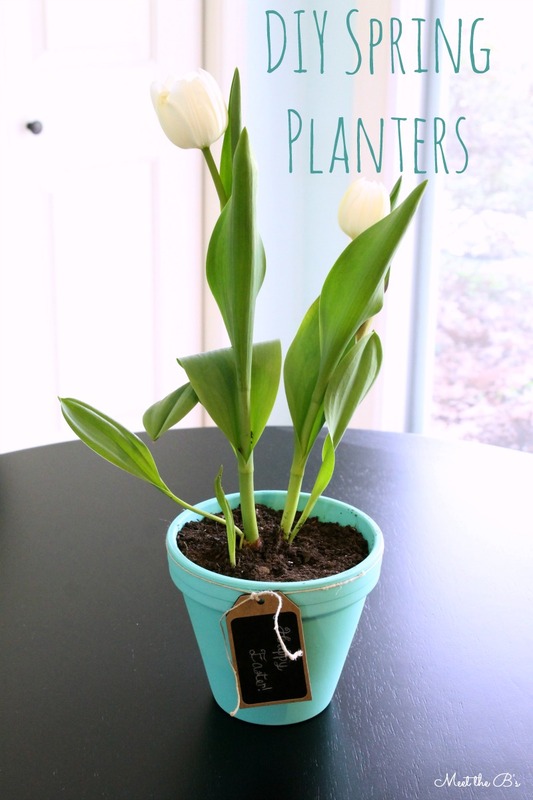 And these Easter planters were so much fun to make! 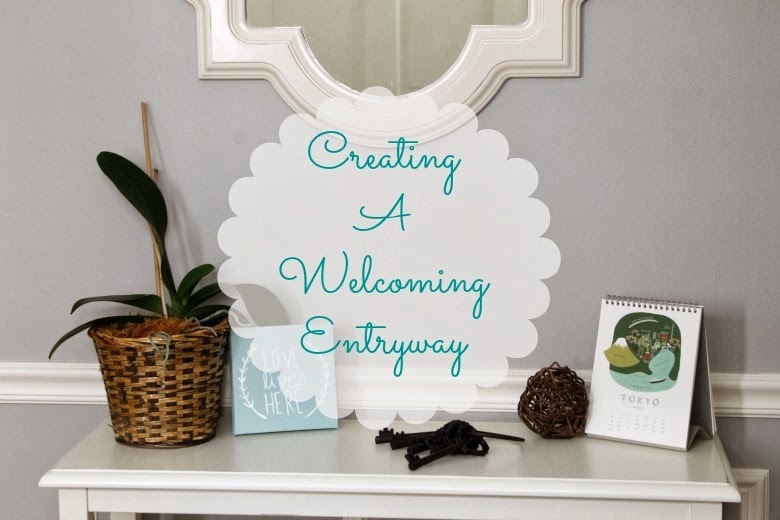 My entryway is currently still my favorite room in the house (although still a work in progress!). Throughout the month of May, I plan to celebrate by sharing some lessons learned in my first year, sharing some of the resources that helped get me started, and co-hosting an exciting event towards the end of the month!! Thanks for stopping by! Follow along if you like! Share your thoughts! Feedback is welcome. You can find me on Google+, Facebook (brand new page! ), Bloglovin, and Pinterest! If you like this post, subscribe for e-mail updates! 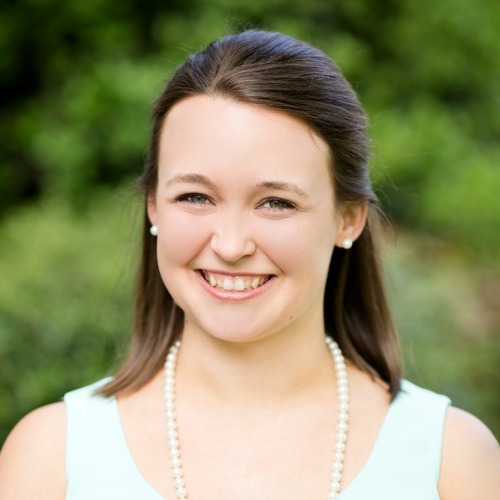 I'm the long lost friend you stumbled into in blog land! tee hee. Congratulations Nicole and Happy Birthday! Congratulations! I've been at this for about 24 hours, and after scouring over many different blogs trying to come up with future topics for posts, I am starting to realize how much work this is really going to be. Your dedication is an inspiration!